Hi holiness the Dalai Lama Explained the meaing of Om Mani Padme Hung here. Do you have other meanings? "Om, here three letters Ah Oh Ma, that represent our body, mind speech. So there are two levels, body speech mind impure level, that is the basis of suffering. So therefore, experience pains and pleasure, mainly body mind, transform into pure ever-present body and mind. Then Mani and Padme. Mani is joy, meaning infinite altruism. Padme is wisdom. Altruism and Wisdom combined, that represent Hung." ...Avalokitesvara whose mantra, often called for short "Mani" or "Six Syllables" (Yi-ge Drug-ma), is the universally known "Om Mani Padme Hum." These Sanskrit words have almost always been translated as "Hail to the Jewel in the Lotus," or something similar. However, we believe that, in origin, the mantra had a quite different meaning In order to demonstrate this, we will need to resort to an explanation that may require some knowledge of Sanskrit grammar; but the conclusion is a simple one. The usual translation	of the mantra assumes that the "Mani" and "Padme" are two separate words, rather than a single compounded unit. Let us compare, as did Francke, the mantras of the three great Bodhisattvas (often called Lords of the Three Types-Rigs Gsum Mgon-po): Manjushri, Bodhisattva of Wisdom; Vajrapani, Bodhisattva of Power; Avalokitesvara, Bodhisattva of Compassion. For the first, we may know that no declined form of a masculine Vagisvari could end in the letter "i". A final "i" could represent one of two things, a vocative of a feminine noun ending in "I", or a neuter noun ending in "i". Vagisvari, "Lady of Speech", could possibly be an epithet of Sarasvati, the feminine counterpart of the Bodhisattva Mainjushri. A similar grammatical argument applies as well to the form Vajrapani, "The Vajra Holder". It can be a vocative of the feminine noun Vajrapani, or the vocative of the neuter. Likewise, Mani-Padme must be a vocative case of the feminine noun ending in "a" (it could not be a neuter in this case). The central part of all three mantras should be understood as feminine nouns in the vocative case. Now, Vagisvari represents a tatpurusa compound (since the first word is in a subordinate, case relation to the second), while Vajrapani is a karmadharaya compound (in which the second element is described by the first); but there is reason to think that Mani-Padme is neither of these two types of compounds, but rather a dvandva (conjunctive) compound which is at the same time a bahuvrihi compound (one which defines, or is to be understood as an epithet of someone; often, a metonym). This gives us the translation, "O [thou who] hast a Jewel and Lotus." 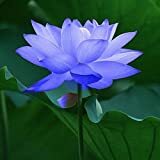 A Tibetan book which gives translations for many Sanskrit language mantras gives, in fact, virtually the same interpretation, "O [thou who] hast a Jewel [and] Lotus" (in Tibetan, Kye Nor-bu Padma-can). Although, tentatively, this grammatical problem may be considered solved, we are still far from knowing what the mantra "means". It may help a little if we understand that the four-armed Mahakarunika, the most popular form of Avalokitevara, is invariable envisioned with a crystal rosary in one of his right hands and a lotus in one of his left hands, while his remaining two hands (clasped before the Heart Center) contain a jewel. Now it seems clear that the jewel and the lotus are both equally emblems of the Bodhisattva of Compassion— neither should be considered to be "inside" the other. Already in 1667 A.D., in the Latin language China Illustrata, Athanasius Kircher wrote that Tibetans worship a god named Manipe by saying "Manipe, save us." Even if Kircher's statements on Tibetan culture were for the most part second or third hand and crudely polemical, he seems to have correctly identified the Mani-Padme as a name/epithet in vocative case. Typically, it is this mantra, Om Mani-Padme Hum, that is wound about the central axis of the cylinder. It is not a prayer in any usual sense of the word, but a part of a program of spiritual practice involving visualizations, as well as mantra recitations, and one aimed at generating the compassion of a Bodhisattva within oneself. At the same time, it may be repeated (with much scriptural justification) to allay all sorts of mundane fears as well as anxieties about future rebirths. There is much to say about this mantra. Kyabje Bokar Rinpoche's book is a great resource for anyone practicing Chenrezig. This site really get's into the meaning and power of the mantra Om Mani Padme Hung. Mahayana path will arise in your being. 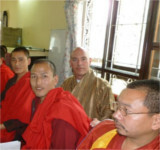 Try to get a copy of his commentary on Patrul Rinpoche's Heart Treasure of the Enlightened Ones. It may still be in print.